The weather is cooling down and life in Dubai is becoming easy and breezy again. Here are four gorgeous terraces to take advantage of while the cool weather is here in full swing. These spots have a view that’s good enough to distract you from your food. 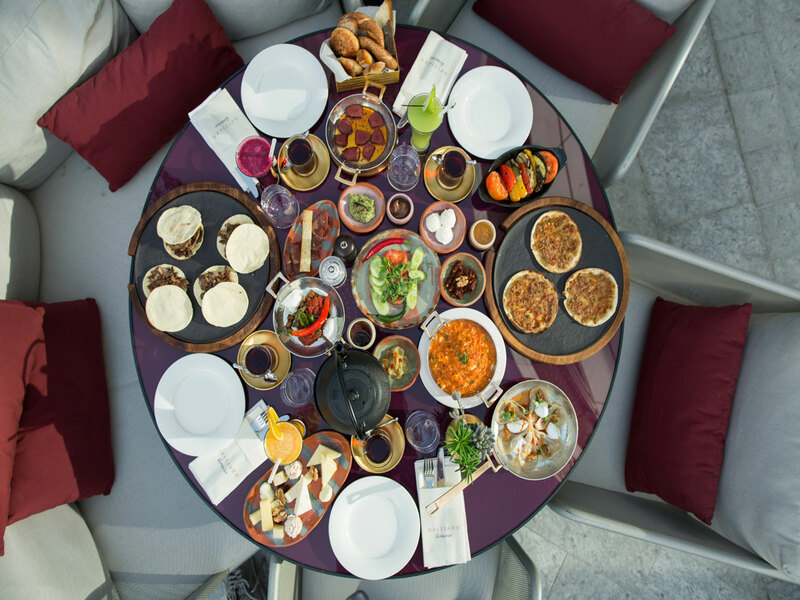 Renowned in Istanbul for its indulgent, artfully prepared contemporary Turkish fusion cuisine inspired by expressions of Italian, French and Spanish food. The Galliard offers an experiential yet authentic Mediterranean offering. The Turkish-Mediterranean boasts an up-close and stunning view of the Burj Khalifa. The recently opened hotspot and brings dancing waiters, flamboyant service, live entertainment and much more which will cater for foodies and party-goers alike. The amazing Turkish restaurants combines two concepts in one. 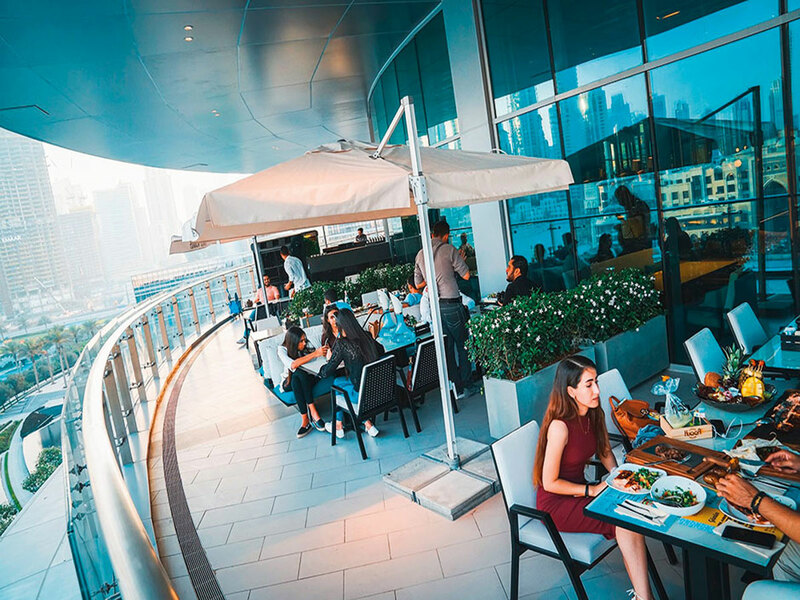 It is one of Dubai’s most popular hang outs in the thanks to its fresh menu, indoor and outdoor shisha and great views of Burj Khalifa and The Dubai Fountain. With Anatolian Turkish cuisine as their specialty, Huqqa offers moreish dishes such as manti, tiny pouches of Turkish pasta with a meat filling; sujuk, the famous spicy Turkish sausage; and a selection of kebabs. The Market section of the venue offers gourmet breakfasts, Turkish steaks as well as vegetarian and organic options. Some of their best dishes include the wagyu lahmacun, wagyu kebab and special dishes from each region of turkey. Take our advice and end your meal with their signature dessert, the Mykonos scallops. 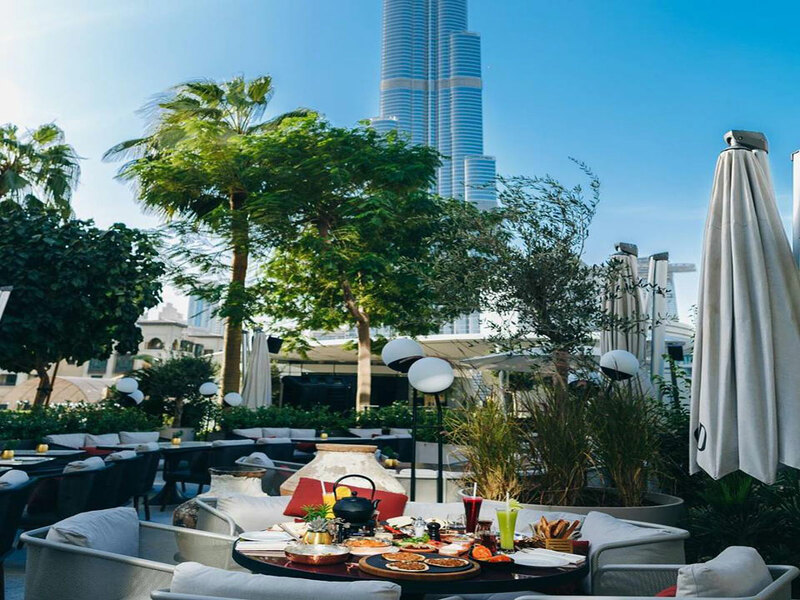 Sit outside to enjoy the best views of the Burj Khalifa. Over the last 2 years, Peruvian food has recently become one of Dubai’s most popular food trends and Aji stands out as one of the top at serving up great tasting Nikkei-style food at a reasonable price. 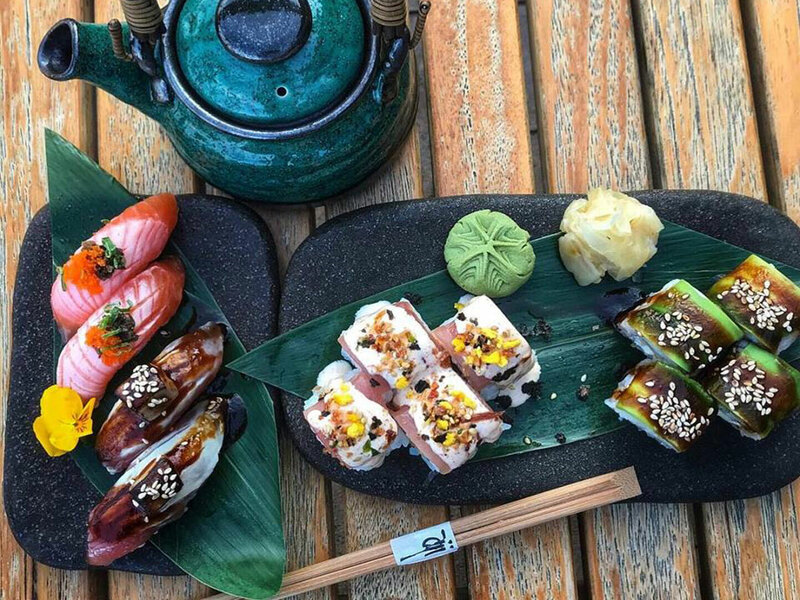 The waterside Japanese-Peruvian fusion manages to stay super fresh and as good as when its doors first opened two Novembers ago. In addition to great food, one of the things most loved about Aji, is its location at Club Vista Mare. Because of its proximity to the beach, the venue is breezy and has views of the palm, as well as the city skyline. 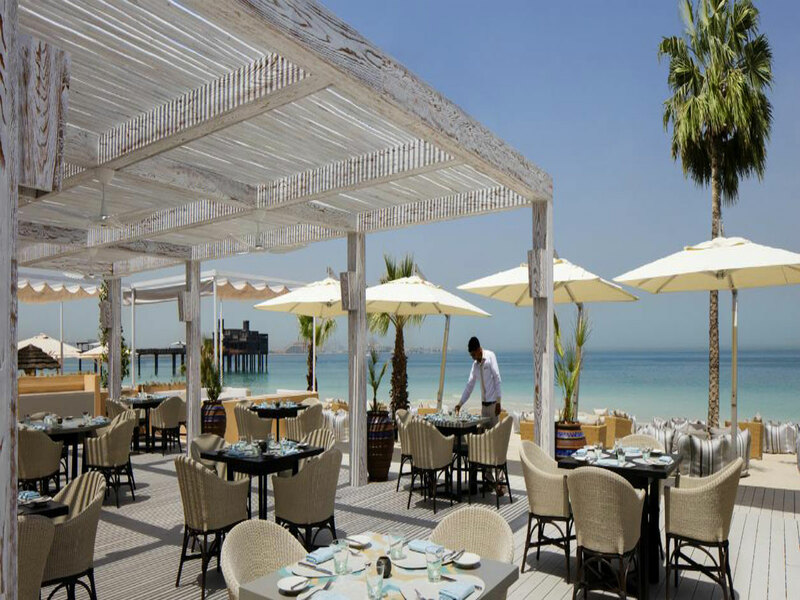 Although Aji is one of eight restaurants located on the pier, it is the top pick in terms of food and a gorgeous terrace.